Time to start updating my apps. The first on the list is DECO (Design Editor for Custom Objects). Not only is this a must-have when using custom objects, but it gave me a chance to play with the new grid control in the Vault SDK. If you are unfamiliar with DECO, have a look at the page for the 2013 version. I added one cool new feature for DECO 2014: a grid containing all the linked children. You can now view/add/delete links using UI created with DECO. The grid control only works with links to child entities. There is no way to show “where used” data in a DECO control. 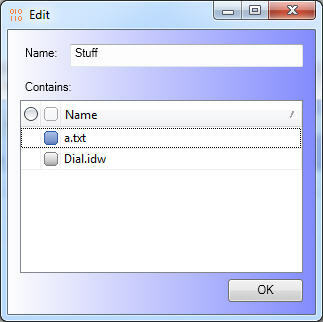 Visual Studio 2010 has problems editing a XAML file with a WindowsFormsHost control. I don’t know about Visual Studio 2012. When adding a link, the browse dialog only lets you browse items available through Project Explorer. In other words, only files, folders and linked entities.